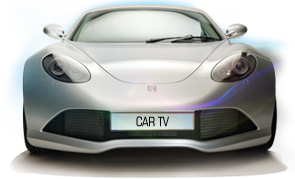 Car TV Network offers a wide variety of known personalities that will make your dealership a star. Below is an abbreviated roster of talent we currently have available to represent your dealership on television. President of Car TV Network has spent the last three decades developing his systematic program generating high gross profits for dealerships. No stranger to the automotive world, Tracy is certainly comfortable on camera as well having been featured in several automotive commercials. A household name in countless homes across America. If you were to ask what do you think of when the name Tom Park is mentioned, undoubtedly it's their local Ford, Chevy, Dodge, Toyota or Nissan store. More than 5 years experience in communications as a Radio and TV spokesperson. She is a native Spanish speaker, fluent in English, and a popular Hispanic Model. Commonly recognized by her reign as Miss America. Others have become acquainted with this gregarious Tennessean through her extensive travels and appearances around the country. First started in stardom as Amy Wilson on the soap opera The Young and the Restless and Princess Greta von Amburg on Days of our Lives.